One week at the beach is now over and we're all back to reality. What a fun week it was! Since we were eating out every meal, where to go was always a big decision. 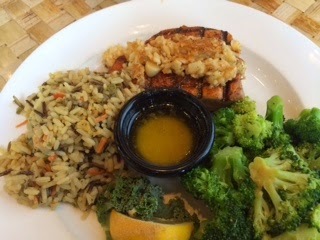 We know eating at local restaurants was risky as we really don't know what we're getting into but we still enjoy trying new things so after reading some reviews, we gave a few restaurants a try. 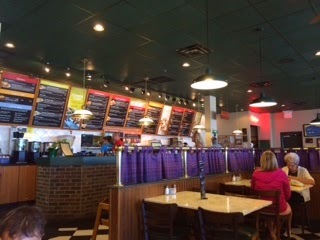 We ate at some national chain too due to schedule and my tot's nap time but here are a few local restaurants and local chain restaurants we tried. 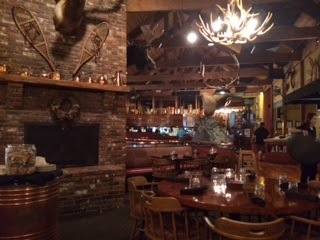 Read good things about the place and steak sounded great on the first night. Looked kind of plain from outside. Inside, it looked very cool and we were seated at a large booth which was perfect. Server was super friendly and professional, service was pretty fast. We ordered some steaks and it includes salad bar which wasn't impressive. But steak was good. Onion rings were pretty good too. Overall, it wasn't wow but pretty good. Very nicely done deli. We went there at least 4 times as far as I remember. Everything we ordered was very fresh and great, every time. It is very welcoming and gives you the clean feel to it. Staff were friendly and service was very quick. I was tired of having bad lettuce in my sandwiches from the hotel pool bar and it was a life changer! Quick lunch place that does things right. If we stayed longer, we would have gone back more. In deli category, this was a winner! We randomly found this restaurant at a mall close from the hotel and decided to give it a try. Restaurant was decorated nicely and very spacious. 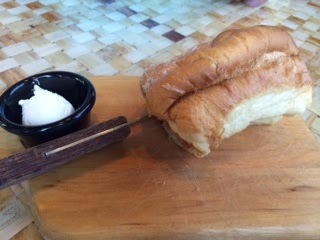 They served sweet bread to start with and it is so delicious. Ordered tuna to cook medium but it was a lot closer to well. Was not happy but because we were in a hurry to go back to the hotel for my tot's nap, I decided to just finish the meal. Waitress was very kind and attentive but I was surprised that a big restaurant like this doesn't have sparkling water. Not a big deal, I ordered seltzer and some tropical cocktail and it was so good I couldn't stop drinking it even though it was very filling. Food was a little too salty to my taste but it was very tasty. It was such a chaotic meal with kids in the family, we don't have any pictures of it. They have a big pond where they have alligators and turtles and you can see them from your table. Not exactly my cup of tea but something different and kids loved it. Our waiter was very calm, funny, friendly and professional even though we weren't the easiest table. Food came out pretty quickly. Some ordered steak, some ordered seafood. Steaks didn't get good reviews. Seafood was average. Brownie got good reviews from kids. I have not been to Margaritaville before and I was happy to try. Because we went early and it wasn't the peak time, we didn't expect the wait to be so long but I almost had a heart attack when they said 2.5 hours!! It's in the broadway at the beach, so I recommend putting your name down, then go for rides. We ended up getting a table outside and everyone was melting. Food was average and of course their margarita was especially refreshing after melting in the sun for a while. Our waitress was nice enough to switch the table for us. Balloons they give out seemed to keep the kids busy for a little while. Everything was just as I expected for a chain family restaurant. 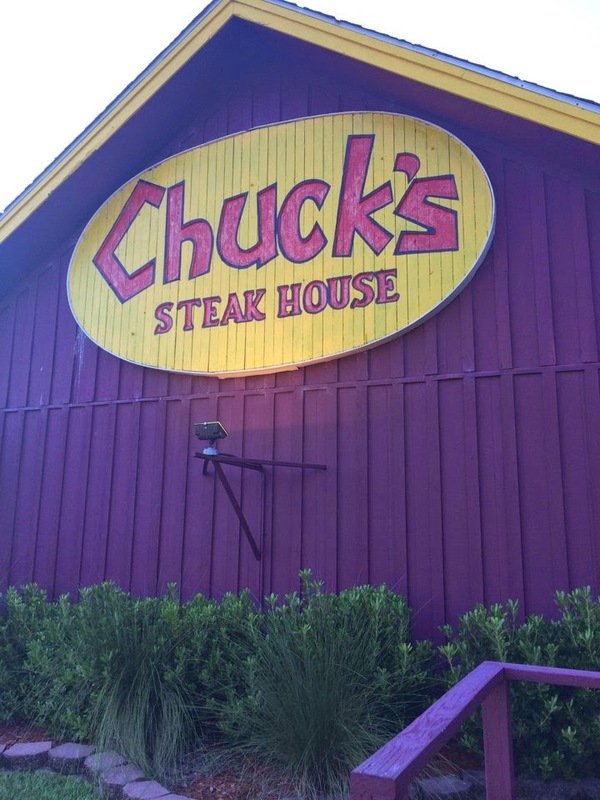 Overall, dining experience in Myrtle beach area was disappointing. Obviously we weren't looking for fine dining experience or anything but most places we went to were very average, nothing exceptional. 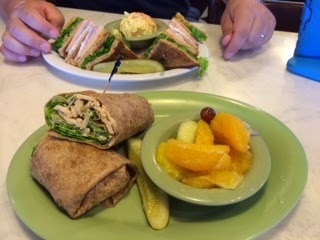 I have to say, our favorite meal was not steak or fancy seafood dish but it was sandwiches from McAlister's deli. Bring a few good sandwiches back to the beach and have a little picnic at sunset. You'll probably enjoy it better than an average sit down restaurant in the area.